The claim of Adam being Egyptian god Men, or first Pharaoh Menes is not new. Many know of it. Egyptian priest Manetho uses it when he starts Pharaoh with Adam's death 930 years after 5200bc. 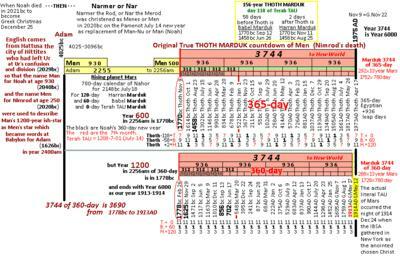 BUT what is new is my connection to the 3744-year countdown from 2256am (death of Nimrod is Narmer the Rod or Nar the Merod who was Menes or Men for his second 250 years from Noah's death 2006am to his own death 2256am)and thus the 3744-year countdown of 8-year Venus calendar (5-orbit, to the 312-year times 12, too), Mars calendar 156-year (73 orbits of 780-day), and Chinese, Asian, Indian 12-year Sothic (Julian) calendar as a false Jupiter (shifts 1 year every 84 to be only 83 (though appearing as 84 of 360-day which takes 426 years to be false because 36-orbit Jupiter-Marduk is 427 years to the year Abram leaves Ur when Terah is 205-year Mars (Terah TAU Marduk). 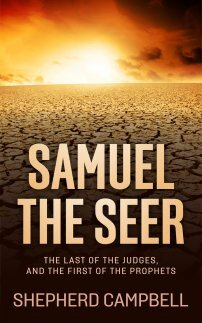 year 4674am as new world now only 1326 years before year 6000am decision thru Armageddon. Add to this the debate that Menes (christened in Egyptian year 350 regarded as Noah's or Man's year 950) and it becomes claimed as Adam's death in 950am plus 3744 plus 1306 to year 6000. Interesting because this moment I see this encourages 1306 years from Adam to Flood 1307am (Samaritan Genesis) so that Noah dies in year 1656am claiming the dispute of whether it is 1306 to world destruction or 1656 to it. The third version comes as year 955 (after Flood) which is really 600 before Flood, and the 350 after it is 355 of 360-day. Thus Nimrod christened or reborn at Noah's death is not Nimrod's own death in year 950 or year 955. Butu this now converts those saying Men (Adam) died at age 955 plus 3744 and then new world for 1301 years to year 6000. All these versions lock in 5200bc Adam and 5500bc Adam causing other versions of Adam to disappear. And the 3744-year count of Adam falls on years such as 1511bc, 1473bc, 1458bc while from Adam's death as 856bc or 560bc Cyrus, 530bc Cambyses, 525bc Egypt, 522bc Darius or the 1000th-year kingdom (999 years) as plagues 1514bc and Exodus 1513bc to temple 515bc in Egyptian years (full years 514bc). The point is that chronology has appeared as false cry-wolf, and yet the misleads directed people with short lives to move forward and seek the new world before it grows to be perfect (sufficient) to survive year 6000, whether false 500AD, false 800AD, or the real 1975AD which has yet to prove God is with us. Mini gastric bypass surgery development was designed to reduce operating time, reduce complications and simplify the surgical procedure for weight loss gains. It is considered to be more beneficial compared to the standard gastric bypass procedure and more people are considering the mini bypass to achieve their weight loss goals quick, easy and with reduced risks. In writing these, a couldnt get it to say posted or accepted or submitted. And since this is 1 of 2 or 3 i then changed the name to #1. However, i see it is now posted twice, without 1 and with 1. I never presented charts of 2 and 3 (3744 from Adam creation, and 3744 from Adam death) because every indication was nothing wanted to post.